Creating a space that is both functional and beautiful can be a daunting task for any homeowner! When it comes to your outdoor living space, landscaping can make all the difference in your home’s appeal and can add significant value to your property. At Royal City Nursery, we are here to make your dream back yard a reality, from start to finish! Our design team works with you and offers in-depth consultation to design a landscape that not only suits your lifestyle and home but is also functional and professionally completed. We take into consideration individual vision and preference, site conditions, budget goals and long-term investment value. We are able to work with the natural limitations and potential of your property (i.e. soil conditions, slopes, etc.) and help you maximize your outdoor living space. While designing around existing buildings on the property can seem limiting, we incorporate these aspects into your design to create a seamless atmosphere. We can also integrate numerous other features into your design, such as decks and patios, pools, fire pits, water features, and so much more! When it’s time to make the design and vision come to life, we are ready! Our teams of installers offer professional and efficient service to make your space as stunning and functional as possible. With years of experience, we work to avoid common installation pitfalls and organize the installation process for efficiency and best quality results, so that you can enjoy your new backyard for years to come! 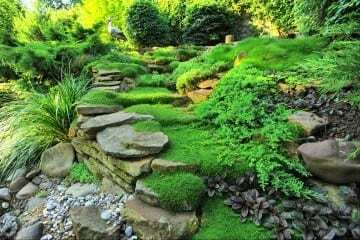 We also provide installation of various water features, including ponds, bubbling rocks and pond-less waterfalls. We offer full installation, and carry a wide variety of pond plants and pond supplies that give you the tools to make your space completely your own, ensuring that from start to finish, your water feature is the best it can be! Opening and closing your pond can be a lot of work, and we’re here to give you a hand, providing you with the hands to open and close, as well as make sure your pond stays clean and well maintained. 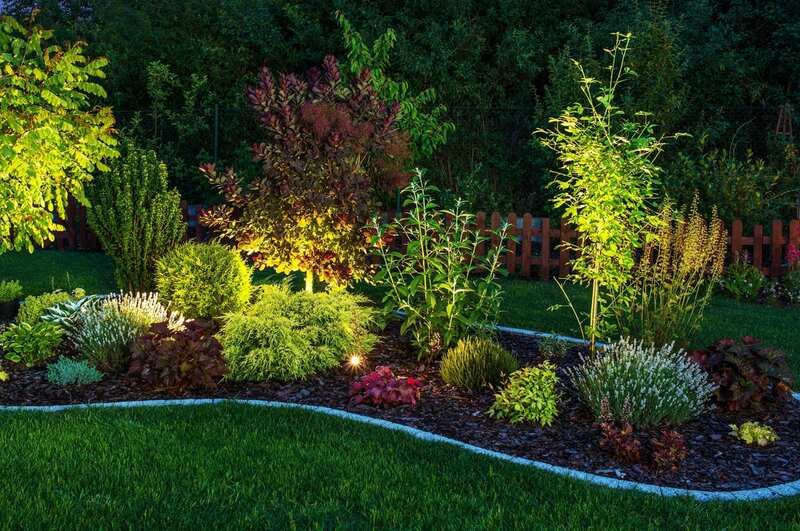 Royal City Nursery is happy to now offer landscape lighting installation! Lighting brings any space to life, creating beautiful effects that will allow you to enjoy your back yard sanctuary as you sit on your patio in the evening or walk through your gardens in early morning. Landscape lighting not only improves and maximizes the aesthetic appeal of your property, but can also help with security of your property. Wiring, light choices and electrical work is all managed to plan and install a lighting system that will not only be professionally completed, but meet the particular needs of your property and highlight your beautiful space. Too big or too heavy to take home? Need your purchase to arrive on a specific day? We offer delivery and setup services; whether it’s needed in the front yard, on the driveway or in your back yard, we can deliver your purchases exactly where you need it! We are pleased to offer maintenance services for your landscape. Spend your time doing the things you love to do, and leave the hassle of maintaining your gardens to us! Our design team works with you and offers in-depth consultation to design a landscape that not only suits your lifestyle and home but is also functional and professionally complete. We take into consideration individual vision and preference, site conditions, budget goals and long-term investment value. We are able to work with the natural limitations and potential of your property (i.e. soil conditions, slopes, etc.) and help you maximize your outdoor living space. While designing around existing buildings on the property can seem limiting, we incorporate these aspects into your design to create a seamless atmosphere. We can also integrate numerous other features into your design, such as decks and patios, pools, fire pits, water features, and so much more! We also provide installation of various water features, including ponds, bubbling rocks and pond-less waterfalls. 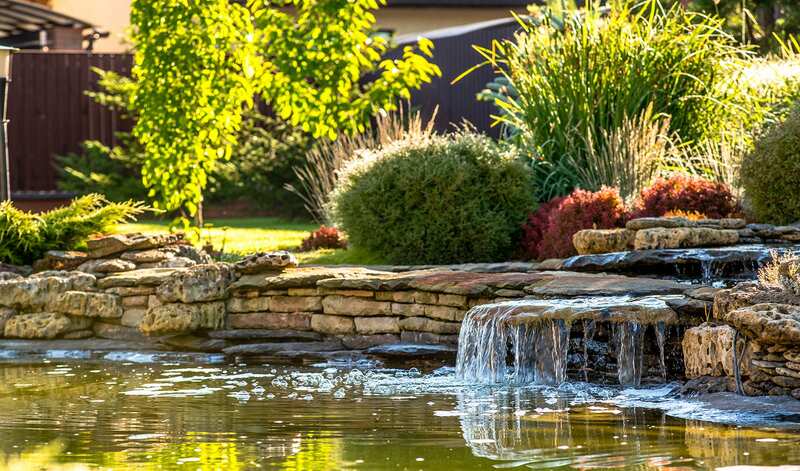 We offer full installation, and carry a wide variety of pond plants and pond supplies that give you the tools to make your space completely your own, ensuring that from start to finish, your water feature is the best it can be! 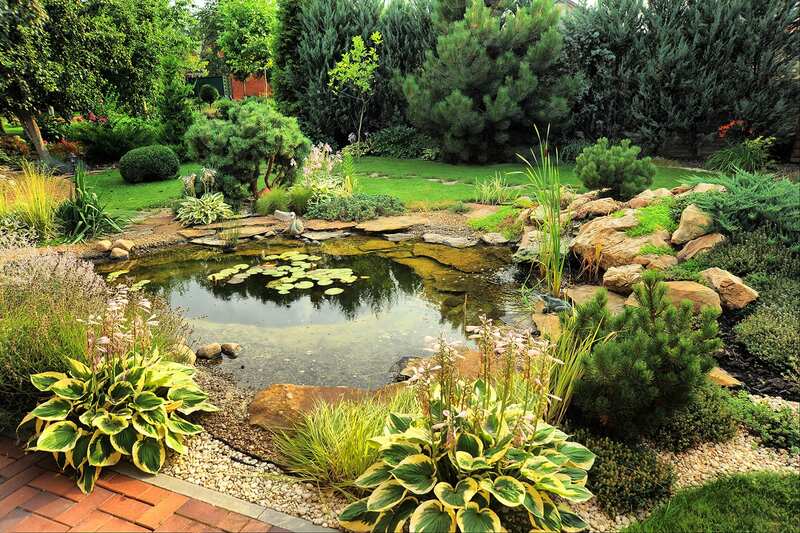 Opening and closing your pond can be a lot of work, and we’re here to give you a hand, providing you with the hands to open and close, as well as make sure your pond stays clean and well maintained! Royal City Nursery is happy to now offer landscape lighting installation! Lighting brings any back yard space to life, creating beautiful effects that will allow you to enjoy your backyard sanctuary as you sit on your patio in the evening or walk through your gardens in early morning. Landscape lighting not only improves and maximizes the aesthetic appeal of your property, but can also help with security of your property. Too big or too heavy to take home? Need your purchase to arrive on a specific day? We offer delivery and setup services; whether it’s needed in the front yard, on the driveway or in your backyard, we can deliver your purchases exactly where you need it! We are pleased to offer maintenance services for your landscape and outdoor space. Spend your time doing the things you love to do, and leave the hassle of maintaining your gardens to us! Our expert and knowledgeable landscape designers, Tanya and Dave, will bring new life to your space! to discuss the opportunities for a design consultation, a landscape plan, installation or a maintenance package today!